A very vanilla Cognac with a long finish, dominated by candied fruits and hints of peppery spices. 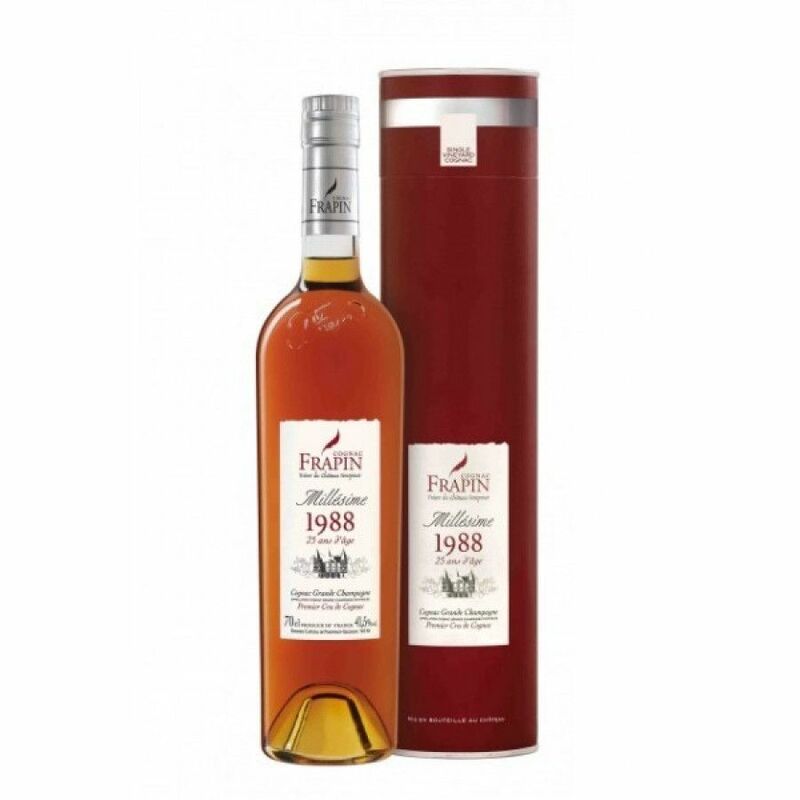 The Frapin 1988 Vintage Château de Fonpinot Grande Champagne Cognac is an excellent example of why vintage Cognacs are becoming much sought after. From the premier growth vineyards of the region - Grande Champagne - it really does showcase how the chalky soils of the area are so adept at producing fruits (and therefore eaux-de-vie) of such high quality. Offering exceptional value for money, it's the perfect Cognac for anyone who appreciates a powerful, complex, yet perfectly balanced tasting experience. At 41.5° it's slightly overproof - yet delightfully enjoyable neat, making it the perfect digestif. A great addition to any Cognac cabinet, and sure to be appreciated by even the most fastidious of palates. Would be a well received gift by any lover of fine liquor.